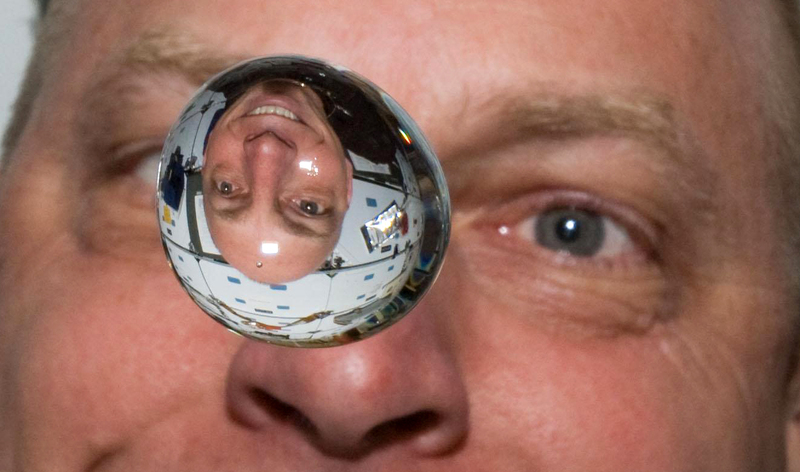 Microgravity in space is causing serious structural changes to the eyes and spine. Astronauts undergo a rigorous training and selection process. They must be at the peak of their health and physical capability in order to face the grueling environment outside our Earth. So it was a huge problem when two-thirds of astronauts aboard the International Space Station (ISS) developed eye problems. NASA suspected that the impairment, visual impairment intercranial pressure syndrome (VIIP), was caused by changes in the fluids in the eye and spinal cord in response to microgravity. Researchers from the University of Miami Miller School of Medicine carried out further studies on VIIP, and presented them at the annual meeting of the Radiological Society of North America. Physical tests were conducted on astronauts: seven who spent multiple months on the ISS, and nine who made short trips up and back to Earth aboard the now-retired US space shuttle. The researchers observed severe structural changes to the eyes of the astronauts, some of which were permanent. The eye problems include inflamed optic nerves and flattening at the back of the eyeballs. Astronauts who had were in flight for long durations also had abnormally high cerebrospinal fluid (CSF) in the brain. “The [spinal fluid] system is confused by the lack of the posture-related pressure changes,” said Noam Alperin, lead researcher and professor of radiology and biomedical engineering. “The research provides, for the first time, quantitative evidence obtained from short- and long-duration astronauts pointing to the primary and direct role of the CSF in the globe deformations seen in astronauts with visual impairment syndrome,” says Alperin. A solution might come from retired NASA astronaut Clayton Anderson, who did not experience vision problems after five months on the ISS. “It appears—from additional NASA studies performed at Johnson Space Center in Houston—that I have a special protein sailing through my body, that does not allow this phenomenon to occur,” Anderson said in an online forum. With the ambitious Mars missions coming soon, it’s imperative that this issue be solved to ensure the safety of space travel.